Hello! 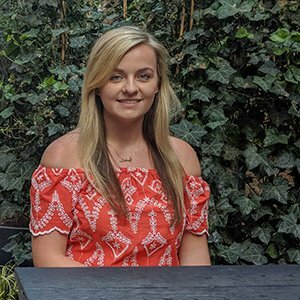 My name is Amber and I am the current placement student at RateMyPlacement, working within the Marketing team as a Marketing Assistant. My role has allowed me to gain experience in dealing with both offline and online marketing campaigns and also given me the opportunity to manage my own projects within the team. It's been a fantastic experience, so I've written this short blog to explain what a placement is and why you should definitely do one! A placement is a programme available to most students that involves taking a year out from studying at university and going out into the big wide world to get some all important work experience. They last a full academic year, and are available across all sectors. It doesn't really matter what you're studying, there'll be relevant opportunities for you to apply for! The best time to apply is between September and May in your second year. You need to start early with your applications. Some of the bigger companies close their submission period early because they receive so many applications. Typically most opportunities will come onto RateMyPlacement.co.uk around August/September time so you need to make sure you’ve looked into what type of role you want to go into and which company you want to work for. You should also make good use of your careers team while you're at university, they'll help you with your CV and cover letter for applications. #2 "Nothing worth doing is ever easy"
The first thing that you should know is that it’s hard to get a placement. Don’t think that just because you’re a fresh-faced student looking for a year’s work experience that employers will be fighting over you. You’ve got to make them fight over you! Some of my friends from university gave up looking for a placement after having their first application rejected and they definitely regret not taking the time to reflect and apply for more. I applied for around 20 roles, but I know others who applied for even more. It may seem daunting having to go through several interviews, but there’s plenty of advice out there, and trust me it’s definitely worth doing - not just for the experience or the money but the people you meet too. When it comes to interviews you can never be too prepared! Before I got my placement I went to a fair few assessment centres and had plenty of interviews too. Treat each interview as an opportunity to put into practice specific techniques like the STAR method and the more you go to, the better you will be! Practice your answers over the phone to your parents, friends or careers advisor in the run up to your interview and by the time you sit down for the real thing you will be calm and prepared. Take every opportunity that comes your way. I’ve had opportunities to visit other companies, help host awards ceremonies and attend internal and external training sessions. Once you recognise that your placement is one big learning experience you will get more out of it. Go into your first few weeks with an idea of the skills you would like to develop and talk with your manager / team about how you can organise training or get involved with specific projects. For example I really wanted to use my placement to boost my public speaking skills so I’ve taken every opportunity that’s come my way to get out in-front of people and present. This short video features students from the University of Sheffield, all of whom undertook placements as part of their degree. They explain why they did a placement and how the experience has influenced their career. Before going on placement I got some stick from friends who didn’t want to do go on placement that I would be wasting a year of my time just making tea and coffee for people in the business. This couldn’t be further from the truth! From day one I have been given real responsibility and I’ve been involved with some massive projects like the company’s largest offline marketing campaign, and this is true of everyone that I’ve spoken to who has also done a placement. The tasks that you do throughout your year can be hard and stressful at times but it’s well worth it. By the end of your placement year your CV will be filled to the brim with excellent experience that graduate employers will be fighting over. Although it may seem a long way off, there’s lots of things that you could be doing to prepare for a placement year. It may seem like a lot of effort right now, but it will be worth it when you get your dream placement. If you’ve got any questions then follow us on our social media channels and I will be more than happy to reply! Amber is our resident placement student and social butterfly here at RateMyPlacement. When she’s not busy finding new ways to boost our social media presence, you’ll find her making her way through the best bottomless brunches in London.